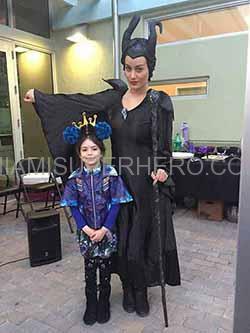 Parents need to know that Maleficent is Disney retelling of its wonderful animated princess film Sleeping Beauty from the villain approach making for great party princesses. 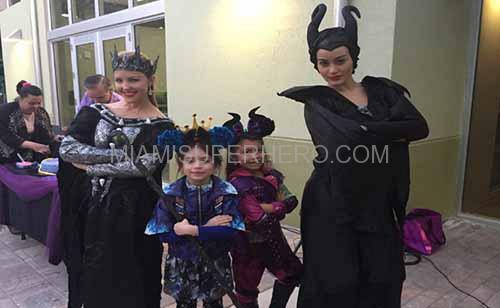 Viewers will learn the factors why the “evil fairy” (played by famous actress Angelina Jolie) is so resentful and bitter at not being invited to baby Aurora friendly party that she curses the baby princess. Far more so than the animated unique, this live-action edition can get pretty dark and may frighten younger kids, particularly during aggressive action between the magical and Kingdom creatures of the moors. 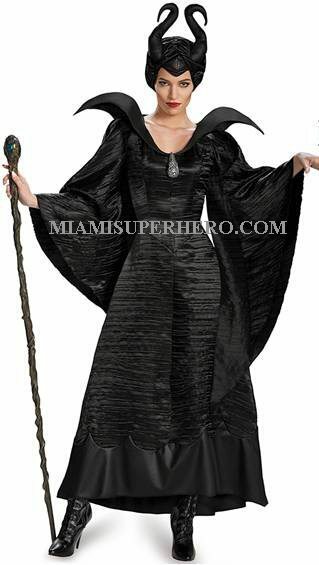 Characters die or are wounded, and Maleficient is a threatening figure. It’s also extremely upsetting when her wings are cut off. But the film full message – about love and redemption – is positive, and providing Maleficient more context and depth will support kids sympathize with her. As long as your kids can manage the battles, they will likely enjoy this fresh take on a classic Disney Villain. Plenty of Maleficent is visually stunning, with remarkable lush scenery and unique effects: The moors at their brightest are enchanting and sweet, while the Kingdom is an imposing and drab place. Between the costumes, art design, and the immaculate CGI-supported make-up, Maleficent is a real feast for the eyes, which is no shock, given Robert Stromberg (Director) history as visual effects expert. Plot wise, anyway, the film is a bit of a letdown. Jolie is magnificent at being (justifiably) mean – with her quick face, terrifying green eyes, and clipped speaking tones – and she is best at delivering and dry one liners. But to decrease her story to the cliché of a jealous and jilted ex-girlfriend is slightly unsatisfactory and undercuts the film other message: that you should struggle to stay in the light, even when bordered by darkness. While younger kids might be alternately bored or scared, older adults and kids might want for a pretty more attraction to go along with the effects another reason for great princess characters. Still, Fanning, so bright-eyed and lovely, is well cast as Aurora teen, and value seeing opposite Jolie. The Aurora teenage, appearing 3-quarter of an hour into the film is played by Elle Fanning with a preternatural brightness. (Vivienne Jolie-Pitt (Jolie daughter) takes her display bow as the five year old princess). The opposition between the openhearted, innocent girl and hate-filled fair queen has the important archetypal pull, and their primary meeting, in the night forest, and one of the most amazing sequences in the Disney canon.